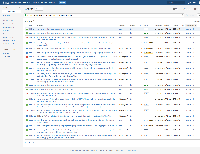 [JRASERVER-59992] List Issues in Issue Navigator according to FixVersions regardless of Issue Key - Create and track feature requests for Atlassian products. Currently in JIRA if users list issues according to the FixVersions, JIRA will be listing the Issues according to the Issue Key and after that according to FixVersions value. This is because versions are project specific and the sort order is defined by the arrangement of the project versions within the project configuration. Allow users to sort issues by Fix Versions value even though they are searching for issues from multiple projects. Currently there's no workaround for this.